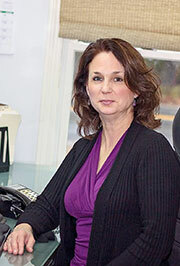 Ashley has been an accountant at BHA for 4 years. She has a Bachelor's Degree in Business Economics from the University of Maine at Farmington and a certificate in Advanced Accounting from Strayer University. 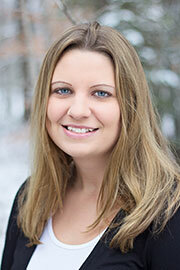 Ashley has prior experience as a financial advisor and in banking as a head teller and loan review officer. She has also successfully passed the CPA exam. Ashley lives on Verona Island with her husband. Kyle earned a Bachelor of Science Degree in Accounting and a Master of Business Administration Degree from Husson University. 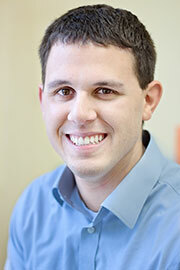 He has experience in tax preparation and auditing and is currently working on achieving his CPA license. Kyle resides in Ellsworth with his wife Kim and daughter Abigail. Allison is a native of Blue Hill graduating from the business core at George Stevens Academy and then a small business college in Massachusetts. She worked at Blue Hill Accounting as a bookkeeper back in 1990-1991 and returns to the firm bringing with her experience gained managing a surgical practice and currently running her own small business with her husband. She is the newest member of our team implementing her organizational skills to BHA and adding her cheerful disposition to the front office. © 2019 BHA, LLC Certified Public Accountants. All Rights Reserved.